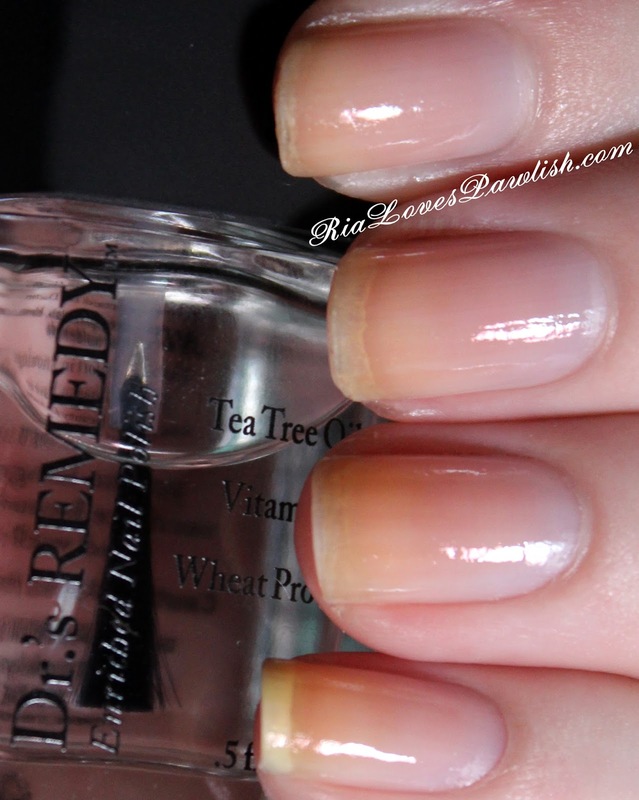 Two Finish French Tips With Dr.'s Remedy and Salon Perfect! tomorrow i'm heading to the dermatologist... hopefully, she can help me get my skin better under control so i can start doing some full face looks on here :) i'm going to do a little Christmas shopping after that, i know it's early but i have that yummy 20% off coupon from Ulta so hopefully i find the things i'm looking for at a better price. let me know if you'd like to see a Christmas ideas post... it will be here before we know it! 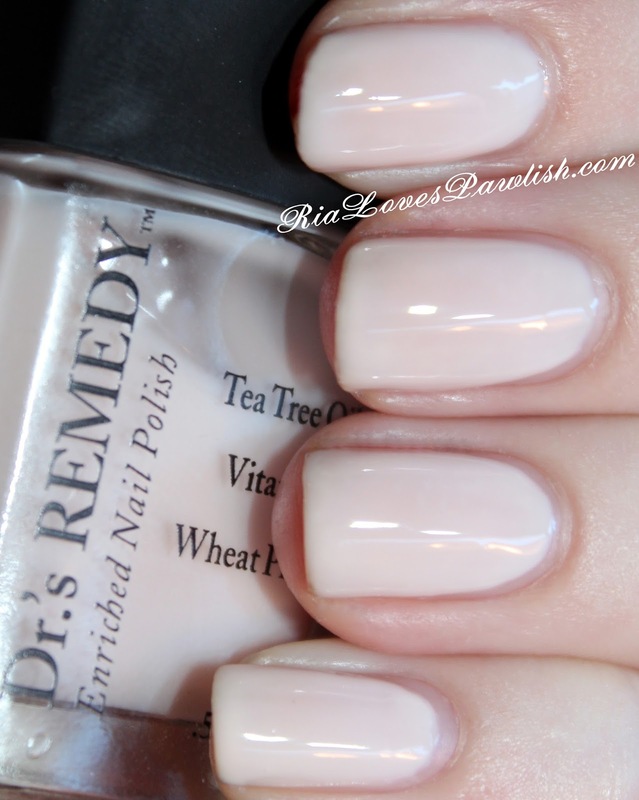 i used three coats of Dr.'s Remedy Promising Pink as the base color, topped with a coat of Dr.'s Remedy Modest Matte Topcoat. i finished off the look with one coat of Salon Perfect Sugar Cube in a chevron French tip... i love how it turned out! (all three of these products are press samples, kindly provided to me for review!). one coat Dr.'s Remedy Basic Basecoat, three coats Promising Pink. sorry about the long time in between posts! i'm still working on trying to get into a schedule... plus, the computer keeps cutting off, which makes posting so frustrating. i *think* i've figured out that the SD card drive is corrupt somehow... but i don't know how to fix it. going to have to get my brother up here to work on it! 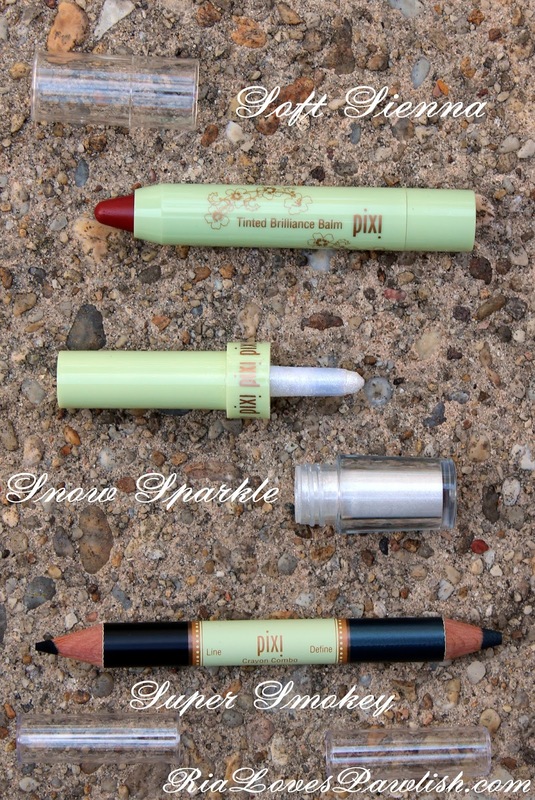 the products are... Crayon Combo in Super Smokey, Fairy Dust in Snow Sparkle, and Tinted Brilliance Balm in Soft Sienna! 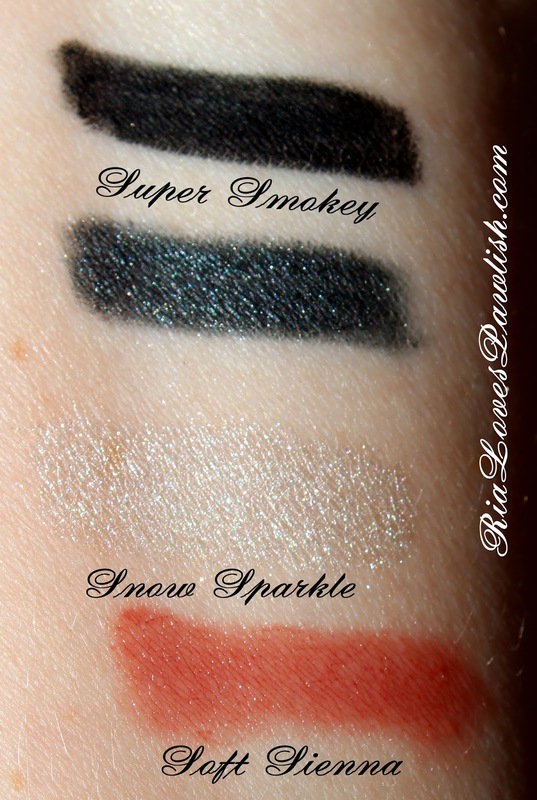 first in the swatches is the Crayon Combo in Super Smokey. there is a black side and a shimmery charcoal greY side... the charcoal side is my fave! this pencil does not set up as hard as their Endless Silky Eye Pens, so they are much easier to smoke out for a smokey eye. i left it on my arm for around fifteen minutes and could still smear it a little, but the pigment was really stuck onto my skin, i still have a shadow of it left the next day! keep forgetting to get it off with makeup remover :) Fairy Dust in Snow Sparkle is a shimmery white pigment... i love that there is an applicator built in to the lid. it makes using pigments SO much easier and less messy! last up there is the Tinted Brilliance Balm in Soft Sienna. it's a sheer orangey red balm which applies super easily and is great option for days when you just wanted moisture and a touch of color! i have a Tinted Brilliance Balm in another color that i bought myself and love how easy it is and the smell is nice, too! hope you enjoyed these swatches, let me know if you'd like to see more! 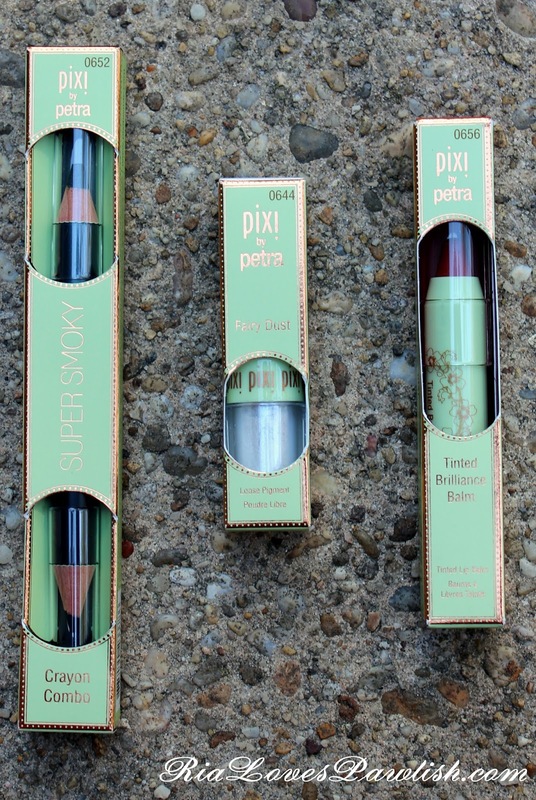 i have lots of Pixi products as it's one of my all time favorite makeup brands :) i'm hoping to do some full face makeup looks soon, but i've got to get my skin under control first! as promised, today i have a little Lauren B. 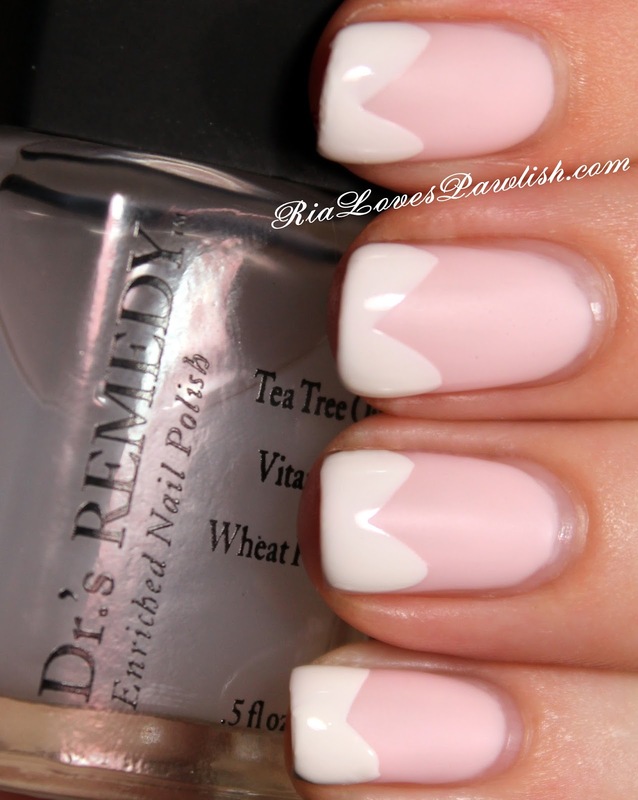 Beauty nail art to share with you all! i used City of Angels as the base, and Where's My Oscar for the half moon. (both of them are press samples, kindly provided to me for review!). i was sent a press release with steps on how to achieve the look... and here they are! Step 1: Apply Lauren B. 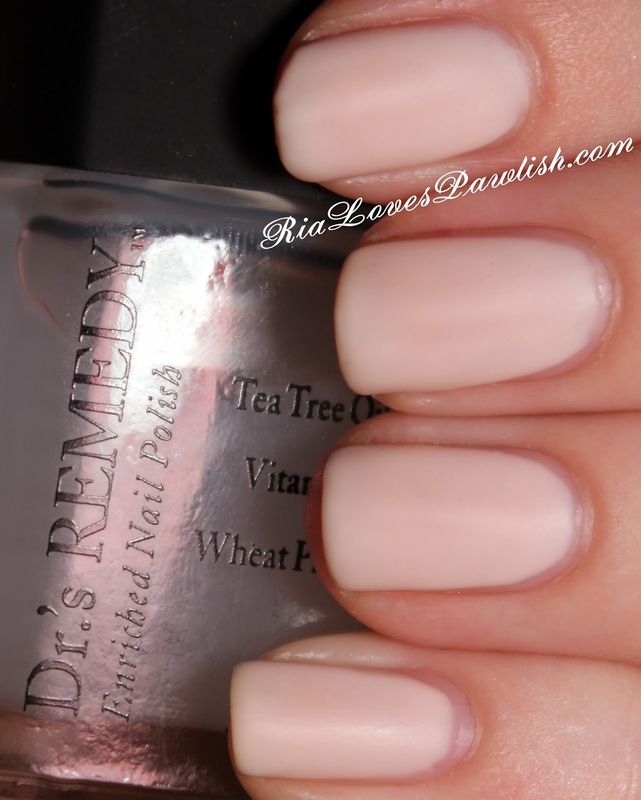 Beauty Nail Couture’s Dual Base Top Coat to the base of your nail and let dry. Step 2: Paint the entire nail with two coats of Lauren B. Beauty Nail Couture’s City Of Angels and let dry. Step 4: Shine and seal by applying the Dual Base Top Coat again and letting dry for 2 minutes. i hope you enjoyed this little mini nail art... it's a bit out of my comfort zone, and certainly didn't turn out perfectly... but i actually got compliments on it! other people aren't looking to see all the flaws. if you try this out, i would love to see it... feel free to post it on my Facebook page! 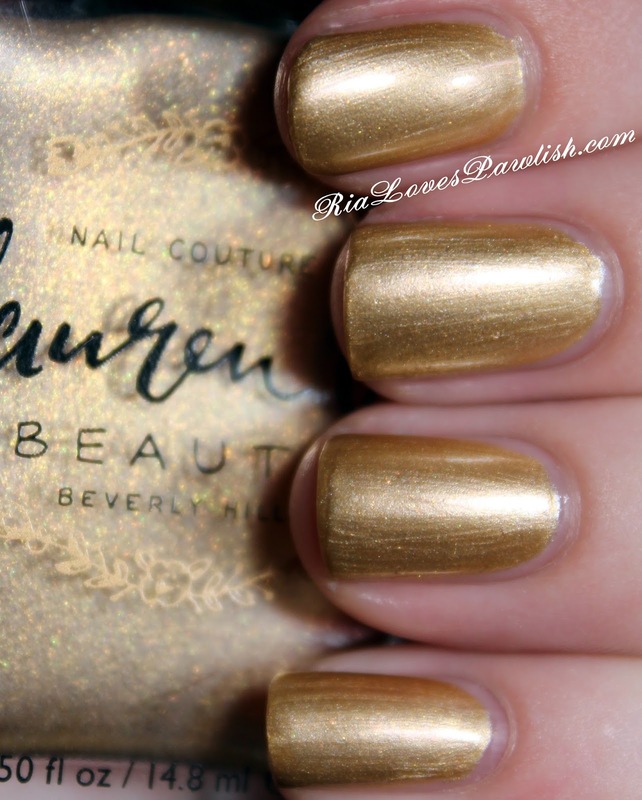 i'm excited to share City of Angels from Lauren B. Beauty with you all today! (it's a press sample, kindly provided to me for review). City of Angels is a pale pink creme, definitely one of my all time favorite shade types! the formula is pretty thick, but not too hard to work with. if i have to choose, i would much rather have a thick polish than a thin one... i hate it when they run into my cuticles. this beauty was opaque in only two coats and dries with a bit of shine... but it's greatly enhanced by adding a shiny topcoat! two coats City of Angels, one coat Salon Perfect Crystal Clear Top Coat. (both are press samples). i appear to STILL be having issues with my computer, can you believe it?! i tried making it go back to an earlier time... or whatever that's called. i'm just not good with computers at all! i haven't been having trouble with it, but bam... suddenly that blue screen of death is back. hopefully it will sort itself out! i'm super excited to share a new to me brand, Lauren B. Beauty with you all... my next three posts will be featuring polish from them :D the third will actually be my attempt at recreating their nail art! up today is Where's My Oscar! (it's a press sample, kindly provided to me for review). it's a golden polish in a pearl finish with the tiniest pieces of glitter in pink and green. they are pretty hidden, so it mostly just gives depth to the polish, unless you get real eyeball to nail with it! it's almost chrome, but not quite... just a nice golden nail. there are a few visible brushstrokes, not very noticeable... but if you really hate brushstrokes it might be a deal breaker for you! application is super easy, two coats for full opacity. definitely add a high shine topcoat to bring out all this polish has to offer! two coats Where's My Oscar, one coat Salon Perfect Crystal Clear Top Coat. (both are press samples). next up is City of Angels... and it's a pale pink creme... BE STILL MY HEART!